Kidney cancer usually gets caught during an unrelated medical procedure — picked up, say, during a CT scan after a case of appendicitis or a car accident. It’s uncommon in people younger than 50, and when it’s found early, the patient is generally in good shape. Surgery can be relatively simple. Usually. The five-year survival rate for patients with tumors that haven’t metastasized is about 70 percent, and the vast majority of the 64,000 or so annual cases in the U.S. can be treated through surgery without a need for an oncologist. But when the disease progresses, those numbers plummet. Stage 4 metastatic patients have a five-year survival rate of just 10 percent. It’s not a death sentence, but it’s close. As recently as 15 years ago, there was just one drug approved by the Food and Drug Administration to treat stage 4 kidney cancer. Surgeons were only just learning how to remove tumors using robots. Radiation was rarely, if ever, used. Hammers’ colleague, Dr. James Brugarolas, who leads the program, wanted to understand what caused kidney cancer. He wanted to figure out why there were so few drugs to treat it. He wondered — did stage 4 kidney cancer have to kill so many people? Years later, he would set out to do what few have been able to pull off: build a program where patients stand a chance. UT Southwestern’s Kidney Cancer Program is the only kidney cancer program developing immunotherapy treatments with a Nobel Prize winner whose work is in immunology. 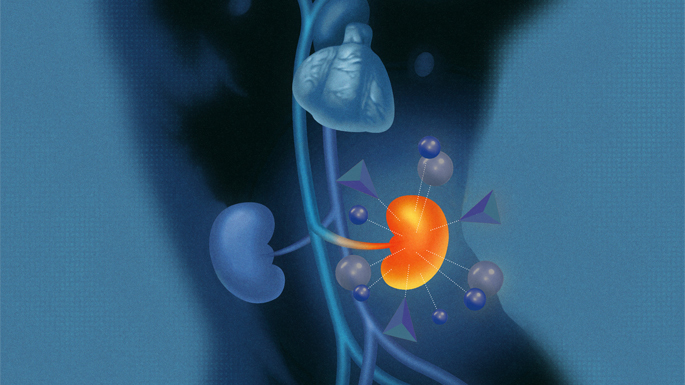 Today, there are a dozen FDA-approved treatments for metastatic kidney cancer. At UT Southwestern, doctors perform complicated surgeries, develop novel radiation approaches, and have seen significant progress in immunotherapy, which uses drugs to fire up the body’s immune response against the cancer. 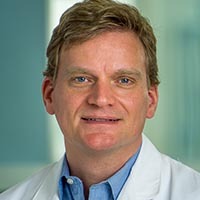 At UT Southwestern’s Kidney Cancer Program, 88 percent of stage 1 kidney cancer patients are alive after five years, while the national rate is 82 percent. Stage 2 patients have an 85 percent five-year survival rate versus 77 percent nationally. Seventy-two percent of stage 3 patients are alive at five years compared to 64 percent elsewhere. And for stage 4 patients, survival rates are more than double national rates: 25 percent at UT Southwestern compared to 11 percent nationally. In other words, these patients are looking at a 1-in-4 shot at being alive in five years, compared to 1 in 10 elsewhere. Behind these numbers, a wide team of experts including urological surgeons, oncologists, and radiation oncologists develops personalized treatment plans for patients. There are more than 25 kidney cancer experts and more than 80 research laboratories dedicated to researching the disease. Every day, these doctors are learning more about how kidney cancer progresses, the likelihood of it to spread, and what to do when it has. Their research is then reflected in their practice. And the results are in the survival rates. It is the only kidney cancer program developing immunotherapy treatments with a Nobel Prize winner whose work is in immunology. Its home is an academic medical center, recently named No. 1 for health care research by Nature Index 2018. When Brugarolas came to Dallas in 2006, after a fellowship at the Dana-Farber Cancer Institute at Harvard Medical School, where he worked with Dr. William Kaelin, a pioneer in the field, UT Southwestern’s focus was on surgery. It had a world-renowned urology department that was frequently recognized in U.S. News & World Report’s annual rankings. But there was no kidney cancer program. The institution’s surgeons set the standard for discovering better ways to operate on kidneys. They also had the volume. 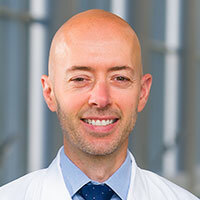 According to Dr. Jeffrey Cadeddu, the program’s Co-Leader for Urology who started at the institution in 1999, about 30 percent of all kidney cancer patients in the Dallas-Fort Worth area are treated at UT Southwestern, and 80 percent of Dallas County residents. Brugarolas was a curious young investigator who, after finishing a Ph.D. in cancer biology at the Massachusetts Institute of Technology, spent hours in Kaelin’s laboratory at Harvard, trying to understand the biology of the disease to come up with better treatment options for patients. His discoveries provided a foundation for the development of a new class of drugs, mTOR inhibitors. His later research identifying mutations in genes regulating mTOR in some kidney cancers identified the patients most likely to benefit. “It allowed us, for the first time, to begin to understand why some patients respond to treatment and some patients don’t,” Brugarolas says. At UT Southwestern, he was ready to put his body of research into practice. That meant harnessing the Medical Center’s potential. Brugarolas believed the key to the program he wanted to build would be pursuing what the National Cancer Institute calls a SPORE, a Specialized Program of Research Excellence designation. At the time, there was just one kidney cancer SPORE in the U.S., and Brugarolas was quite familiar with it — the Dana-Farber/Harvard Cancer Center, where he had trained. SPOREs recognize programs of excellence in cancer research with the potential to improve patient lives — exactly Brugarolas’ goal. When he expressed interest in pursuing the SPORE designation, he found close to 50 faculty members eager to participate. Soon, the program had a pathology group that assembled what is now one of the largest collections worldwide of live kidney cancer samples (more than 1,000) and avatars, or patient tumors growing in mice, used for drug testing (more than 150). That effort, led by Dr. Payal Kapur, the Co-Leader of Pathology, is only possible through a close collaboration with urological surgeons and researchers. The National Cancer Institute was impressed; it ranked the program as exceptional. Since the program began, doctors’ understanding of kidney cancer has changed significantly. Brugarolas and Kapur have created the first modern genetic classification of the most common form of kidney cancer after discovering a gene that, when mutated, often points toward an aggressive form of the disease. They’ve identified four types with different mutations and created the first genetically engineered mouse models to match the human disease. Hammers was recruited from Johns Hopkins University to join the team as a Co-Leader of Clinical Research for the program in 2016. A national leader in the development of immunotherapy treatments, Hammers would significantly expand patient treatment options at UT Southwestern. In 2017, Hammers designed a trial that matched immunotherapy with a focused blast of radiation, to highly promising results. “We use highly concentrated radiation to kill off a tumor and turn it into its own vaccine inside the patient,” says Dr. Raquibul Hannan, Co-Leader for Radiation Oncology. Researchers have also developed a new drug for treating kidney cancer, a so-called first-in-class, which goes back to a 1997 discovery, when Dr. Steven McKnight and Dr. David Russell identified what’s now considered the most important driver of kidney cancer, the HIF-2a gene. The discovery led other scientists at UT Southwestern to studies testing more than 200,000 chemicals to find one that could tackle the gene. They found several, allowing for the development of the new drug, which has shown positive results and has fewer adverse side effects for the patient. The Kidney Cancer Program remains a leader in complex surgeries as well. In rare cases, a tumor can travel from the kidney up through the main vein in the body. Brugarolas’ colleagues Dr. Vitaly Margulis and Dr. Arthur Sagalowsky have performed more of these surgeries than any other group in North Texas. “This cancer is like a snake going up the vein and reaching the heart sometimes, and the surgery often requires putting the heart on bypass,” Cadeddu says. That operation occurs between 15 and 20 times a year, according to Cadeddu, and patients come not only from the Dallas-Fort Worth area, but also from neighboring states such as Oklahoma, Arkansas, and Louisiana. Without it, those patients would likely die. For patients who aren’t good candidates for surgery, radiation treatment options are being developed by Dr. Hannan and colleagues. To Brugarolas and his team, there isn’t anything that isn’t worth doing if it aids in the treatment of the patient. “Our goal is to build the best kidney cancer program in the world and we are doing that,” Brugarolas says. The program may have already doubled survival rates for complex cases, but there is still much to do, Brugarolas says — more discoveries to be made, more treatments to be developed, more patients to care for. That’s the goal of the Kidney Cancer Program: being able to respond to anything a patient needs. Extending their life. Attending to their needs. Changing what a kidney cancer diagnosis means.